Maris Grove Senior Apartments, located right outside of Philadelphia, PA, are filled with several amenities to help make living there enjoyable. Containing anything from a year-round swimming pool, to a hair salon, Erickson Living at Maris Grove covers all bases needed for a relaxing retirement. The campus is approximately 87 acres of land which leaves plenty of space for the residents to feel undisturbed within the community. The welcoming environment at Maris Grove is sure to fulfill the needs of a person looking to retire in comfort. Maris Grove is one of the largest jobs that Leonard Kraus Co. has worked with. Hauling over 50 trailer loads of pre-fabricated panels to the jobsite, they worked long hours to complete this project in a timely manner. All of the panels for Maris Grove were pre-fabricated in the company’s very own shop. 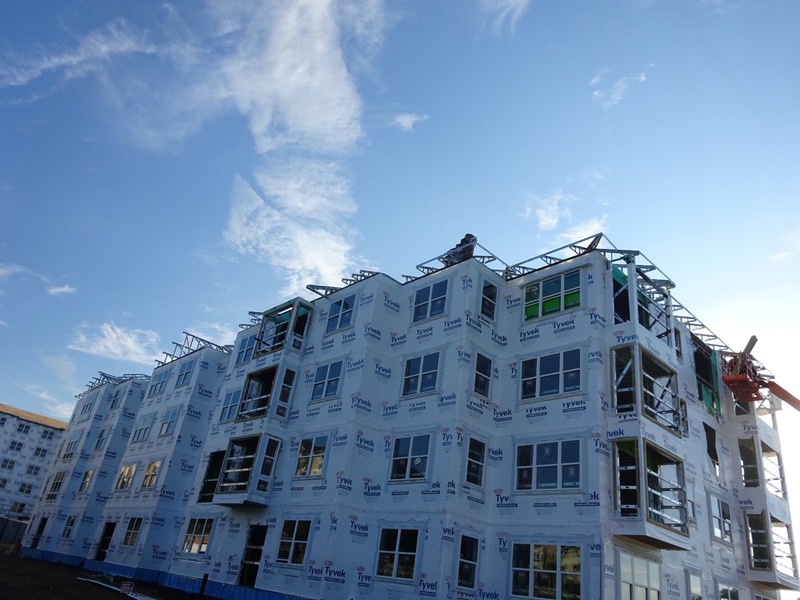 Leonard Kraus Co. also installed the light gauge structural framing for the apartments. The new buildings are approximately 260,000 square feet and include over 150 apartment homes.